Metro Vancouver’s largest free outdoor lights display is on now! 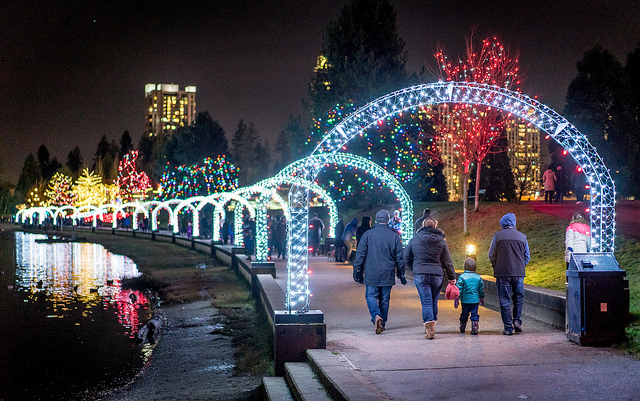 Lights at Lafarge runs nightly until January, with hundreds of thousands of lights illuminating one of Coquitlam’s star attractions. Located just steps from Lafarge Lake-Douglas SkyTrain Station it is a wonderful opportunity to get outdoors and enjoy the festive season with friends and family. Follow the 1.2km trail around the lake and enter a variety of themed light zones. Walk through the lighted 90-foot-long framed caterpillar, take pics at the Arbour Walk lighted archway, visit the Fantasy Forest with an elfin tree house, and tip toe through the Woodland Garden with overhead starbursts and tulip lights over the ground. I’ve had so much fun partnering with the City of Coquitlam this year and we’re both very excited to host a photo contest for Lights at Lafarge. When you visit the attraction, you’ll find three picture frame signs in the area, both are marked with #ExploreCoquitlam. You’ll be entered to win an awesome prize package! Dinner for two at Browns Social House Town Centre Coquitlam location (2950 Glen Drive, by Coquitlam Centre) – value $125. Sunday Brunch for two at Wild Fig Restaurant in the Executive Hotel Plaza and Conference Centre, Coquitlam. Kinetik Cycles – $80 bike tune-up. Two tickets to Rosie and the Riverters at the Evergreen Cultural Centre. 4 free 18” pizzas from La Ruota, Coquitlam. $15 gift card from Mariner Brewing and a Mariner T-Shirt. 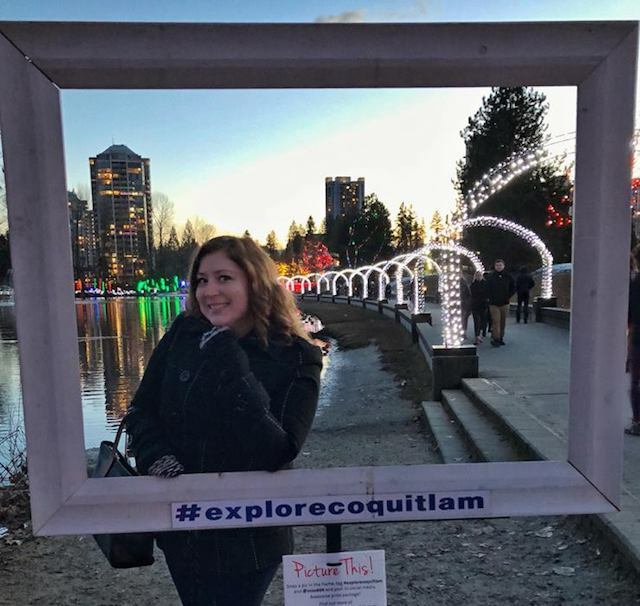 All you need to do is visit this the free Lights at Lafarge display by January 20th, find a frame, and post a photo tagging #ExploreCoquitlam & @Miss604 and you’ll be entered to win! I will draw one winner at random from all entries received (combined on Facebook, Instagram, and Twitter), on January 21, 2019 at 12:00pm. Follow the City of Coquitlam on Facebook and Twitter for more information. UPDATE! The winner is DAISYGO on Instagram! What is the entry limit per person? Can’t find on here or Coquitlam website. Thanks kindly.